This B&H Kit includes three TP-Link HS200 Smart Wi-Fi Light Switches. The switches enable you to remotely control your home's lighting from anywhere. They feature built-in 2.4 GHz Wi-Fi connectivity, programmable scheduling, away mode, and compatibility with iOS, Android, Alexa, Google Assistant, and Microsoft Cortana. No hub is required for operation thanks to Wi-Fi connectivity. Remotely control your home's lights from your mobile device using the HS200 Smart Wi-Fi Light Switch from TP-Link. 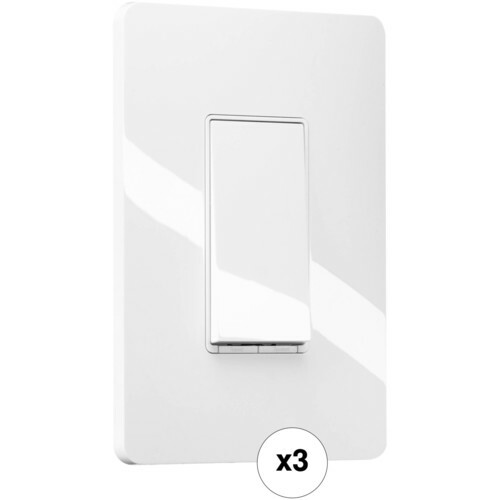 The light switch features built-in Wi-Fi, allowing you to use the company's Kasa application to access your lights from anywhere there is an internet connection. The app also allows you to schedule your lights to go on or off at certain times, and it has an away mode that will randomly turn your lights on and off while you are away, to make it look like your home is occupied. For additional convenience, the switch is compatible with Amazon's Alexa, enabling you to control your lights with voice commands for hands-free use. 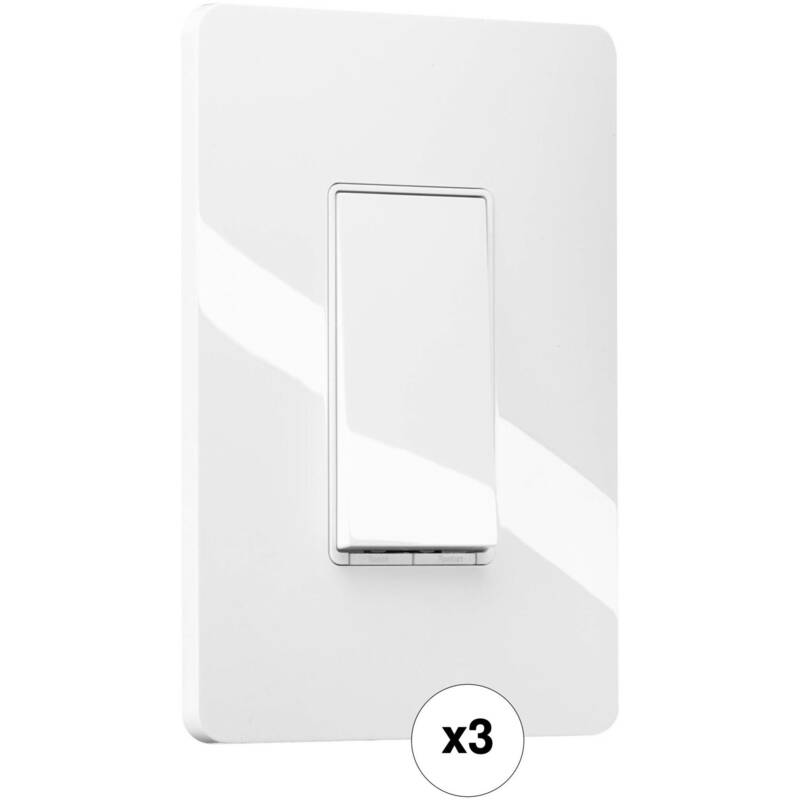 There is an LED indicator so that you can find the light switch in the dark, and there are power, restart, and reset buttons on the switch for easy local control. Box Dimensions (LxWxH) 6.85 x 4.75 x 2.65"
What are the dimensions of the back of the switch? I have heard it will not fit into a standard switch box. Does this work with dimmable lights? Does it work xfinity home security? Does this switch support 3-way switching?? Does switch require 3 wire installation? is this a dimmable swtich? does this work with alexa and does it support zwave or zigbee?